Add metal inserts for a polished look to your slatwall. These Vertical Cut Slatwall Panels with the Metal Inserts are 8 Ft. H x 4 ft W. The brushed aluminum metal inserts come pre-installed by the manufacturer. Panels are 3/4" thick pine board and LPL, they are stronger than conventional panels. Holds approximately 75 lbs per square inch. T-Grooves are spaced 3 inch on center. 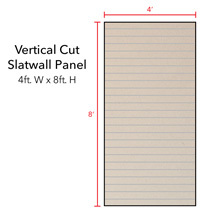 Installation of slatwall panels is easy, with screws going right through the metal inserts and into the wall, for additional strength and durability. 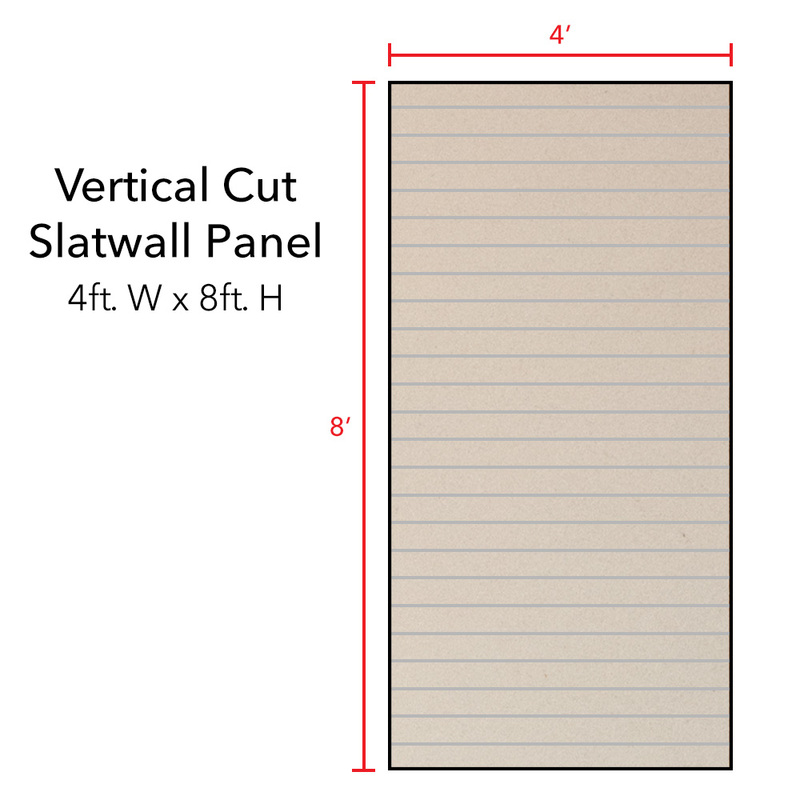 These slatwall panels work with all popular slatwall accessories such as hooks, pegs and shelves. Each order is subject to a $50.00 crating charge and 5% handling fee. May require additional handling time.